To purchase, just click on the BUY button below. Many of you have inquired about the G1988 stuff as well as the Game of Thrones print- I plan to put up the G1988 APs next week, and I'll post more about the GOT print this weekend, sub holders get first crack at the APs. Thanks again for all the support and interest, I couldn't do any of this without your kind patronage. 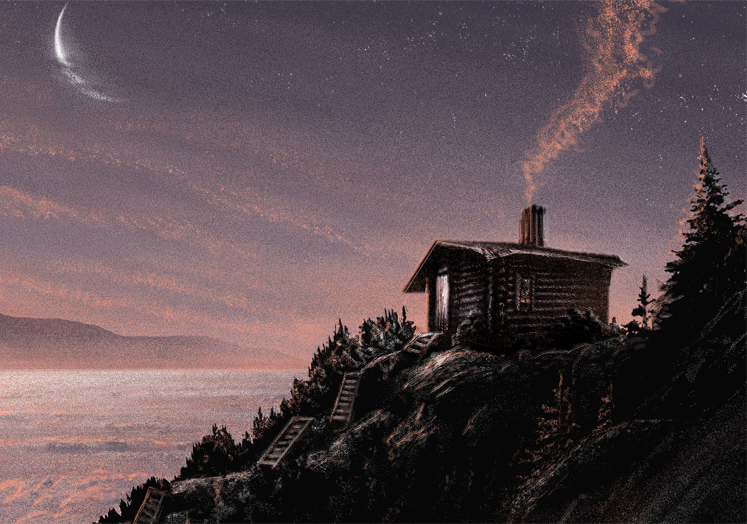 A new one- "Beyond The Pass"
Titled "Beyond the Pass", this one is a 36"x12" 6-color screenprint. I do hope to live there one day. The print will go on sale tomorrow (Tuesday, April 16th) at 3PM EST. Just come back to the blog here and I'll make a new post with BUY buttons and instructions. Thanks all for listening- hope to see some of you back here tomorrow! At least I've been having a bit of fun- just completed work on the newest art print (and the first of the Nature Guild subscription!). Due to a bit of unexpected travel this morning, I'll reveal the print sometime later this afternoon. After the reveal, the print will go up for general sale tomorrow, Tuesday the 16th at 3pm EST.